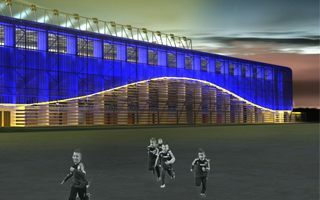 Newest concept of the stadium in Dunajska Streda was commissioned by FC DAC and delivered, like all previous ones, by local architectural office Adif. Instead of four independent stands, the stadium will create an entirely enclosed bowl, even if corner sections will be very scarce (leaving room for giant screens). 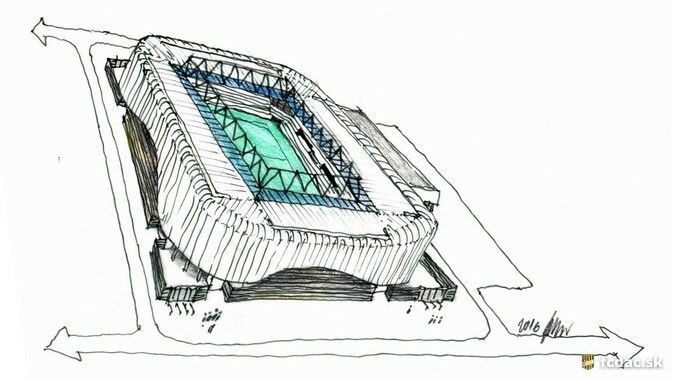 Aesthetically the stadium will be based on contrast. 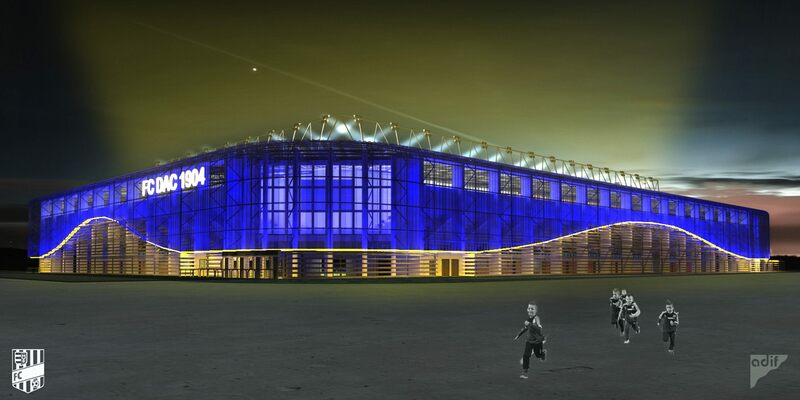 Just like club colours of FC DAC (yellow and blue) represent one of nature’s strongest contrasts, so will the façade. Horizontal panels will clash with vertical ones, creating a vibrant appearance. The project will be phased and construction should start in May 2016, ending in 2018. First, after demolition of two stands, the field will be rotated by 90 degrees. Then two grandstands will be built in the north and east (capacity of 6,748 combined), followed by southern main grandstand (including museum, restaurant and megastore) and finally the west end.